Back in the day I used del.icio.us for storing public bookmarks. It was an easy enough system to use, but two things always troubled me; If they change layout or functionality, I had to just accept it, and if they shut down, all my content goes with it. Ultimately what I wanted was my own hosted solution. Turns out, I wasn't alone. A couple months back I learned about an extension for the Chrome browser called Delectable. 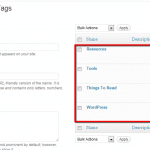 It adds a button to your browser that lets you post a title and tags directly to a WordPress installation. The first thing I did was set up a separate WordPress install on my server to start storing bookmarks. Functionally, it worked great. But, I wanted a way to display the links the way I wanted to see 'em. So I started working on a custom theme. Before I get started I want to be clear, the bookmarks theme I created is really basic, but serves my purpose. I'm making it available for download and you're free to do with it as you see fit. I don't have plans to add new functionality or offer support. Basically, this is an as-is freebie. 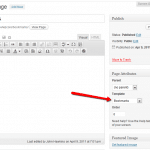 The Bookmarks Theme has a page template with 3 vertical widget areas where you can drop the customized bookmarks widget to display bookmarks you've saved with specific tags. You can limit the number of items to display on the home page per section, but easily view the entire set of links using the View All link. 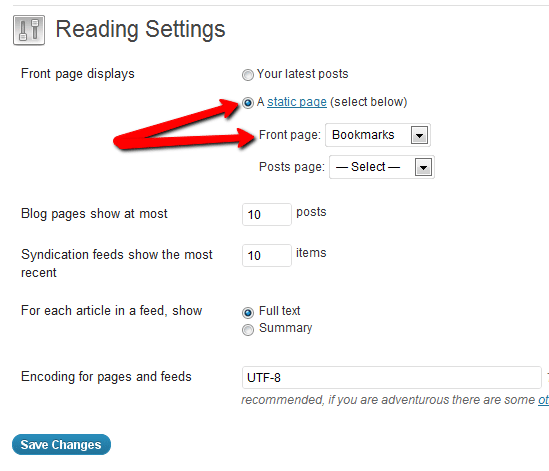 To see the theme in action, you can check out how I'm using it at bookmarks.vegasgeek.com. Install a fresh copy of WordPress. 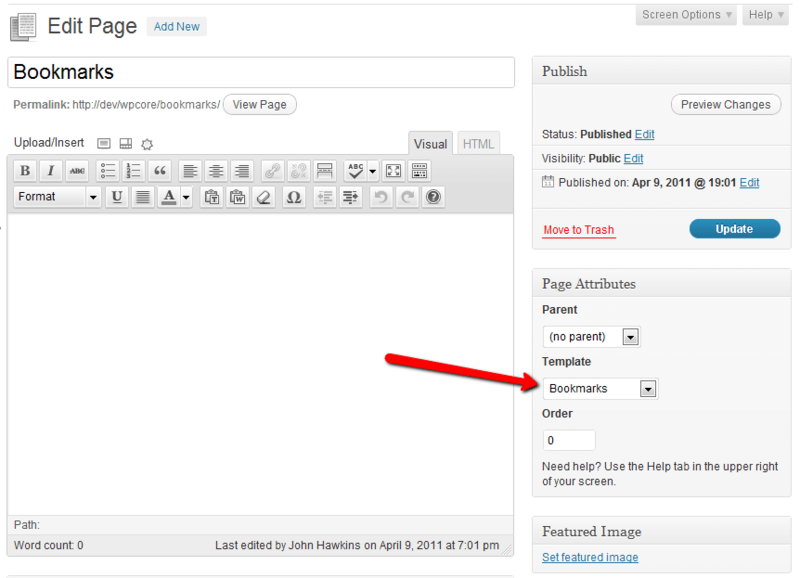 Create a page called Bookmarks and select the bookmarks template. 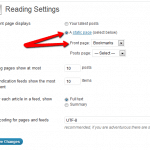 While the bookmarks theme is freely available for download, keep in mind that it is built as a child-theme on the Genesis framework and you will need to have Genesis installed as well for this theme to work. Hope you find the theme useful! Thanks, Jay. I had to change hosts and didn’t get around to setting up the subdomain again. I’ll set it up eventually, but no immediate plans. Would have liked to try it. But still a broken link.